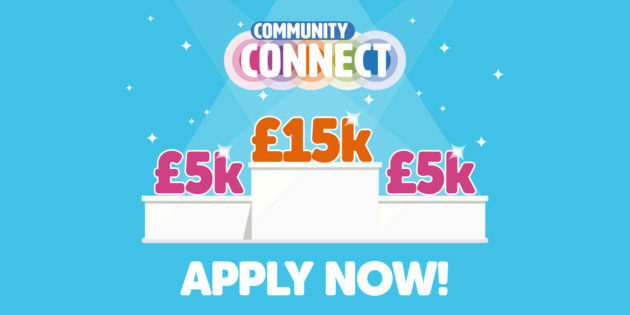 Good Cause Groups across Scotland are now invited to apply for a Community Connect with £25,000 of funding available in each of our regions. Charities, good cause groups and community projects across Scotland are being encouraged to apply for Scotmid’s Community Connect funding before applications close on Friday 22 March at 5pm. Since it was introduced two years ago, Community Connect has awarded funding of £155,000 to 18 good cause groups – bringing worthwhile local projects to life. Now is the time to apply for the next round of awards – three local causes from each region (North, West and East) are set to benefit from a total of £25,000 on offer, with funding of £15k, £5k or £5k available to support local projects to make a difference in communities across the three regions. Make sure a worthy good cause group close to your heart gets considered for this game-changing initiative – please complete your application online asap or run the risk of not being considered for the next short-list of Community Connect good cause groups.